Hotel prices in the Macedonian capital have risen as much as fifteen-fold ahead of the 2017 UEFA Super Cup between Real Madrid and Manchester United. Macedonian hotels are making a killing from the August 8 match between Real Madrid and Man United in the capital. The popular online service Booking.com shows a two-night stay in one four-star hotel in Skopje for two persons from August 7-9 costing a whopping 3,000 euros. The same hotel offers an identical stay in July for only 218 euros. Six hotels in Skopje offer similar prices, ranging from 2,000 to 3,000 euros, while an additional nine offer rooms go for 1,000 to 2,000 euros. The same hotels prices in July range from 100 to 250 euros. Macedonia's first UEFA club competition final will take place in August 8 at Skopje's "Filip II Arena" whose capacity exceeds 33.000 seats. The Super Cup is an annual football match organised by UEFA, held between the reigning champions of the two main European club competitions, the UEFA Champions League and the UEFA Europa League. The clash will pit Real Madrid's Cristiano Ronaldo against his former club United, while Red Devils boss Jose Mourinho will also face his old side. Despite the sky-high prices, hotel operators say their capacities are almost fully booked for the Super Cup. "The rooms are being booked at a staggering rate as we speak. Right now we have only two rooms left for that period and we will probably sell them by the end of this day," a manager of a hotel in central Skopje told BIRN on Thursday. 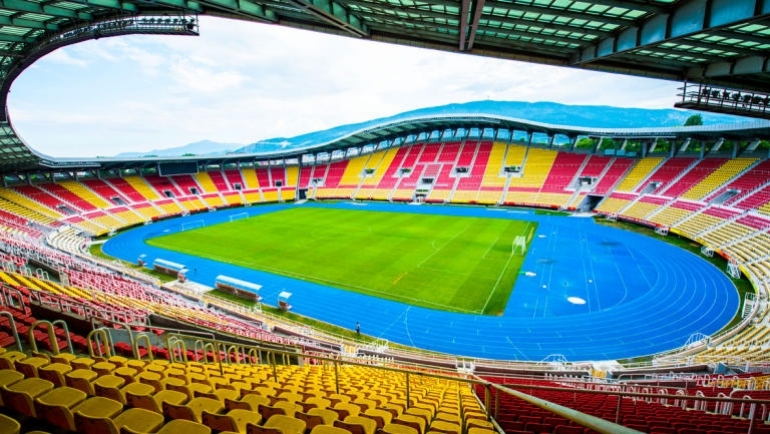 Booking.com results on Thursday showed that 94 per cent of all Skopje hotels listed on the site were already full for the duration of the Super Cup. Additionally, the site shows 87 per cent of all available accommodation in the city already booked. Securing tickets for the match will be no easy task either. UEFA is selling tickets for fans and the public online but solely through applications to its website. If the demand exceeds supply, which is expected to be the case, FIFA will hold a ballot to allocate the tickets. Tickets for this year's Super Cup cost from 15 to 50 euros, which is a bargain price considering last year's much higher prices for the match in Trondheim, Norway.